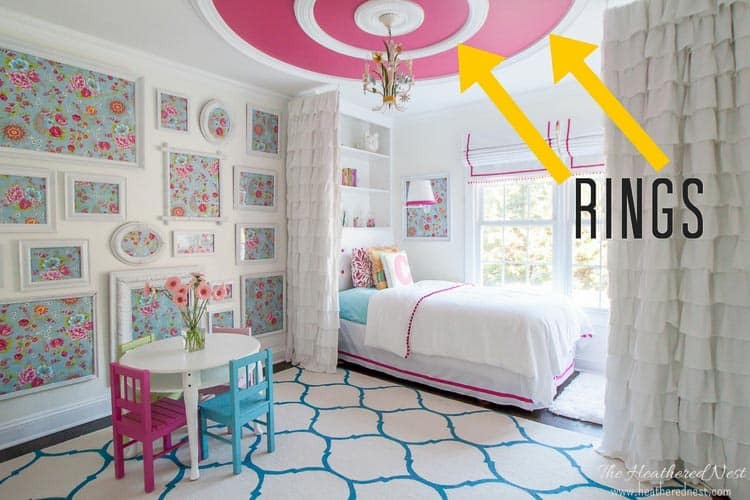 Installing ceiling medallions may be the easiest DIY project ever. 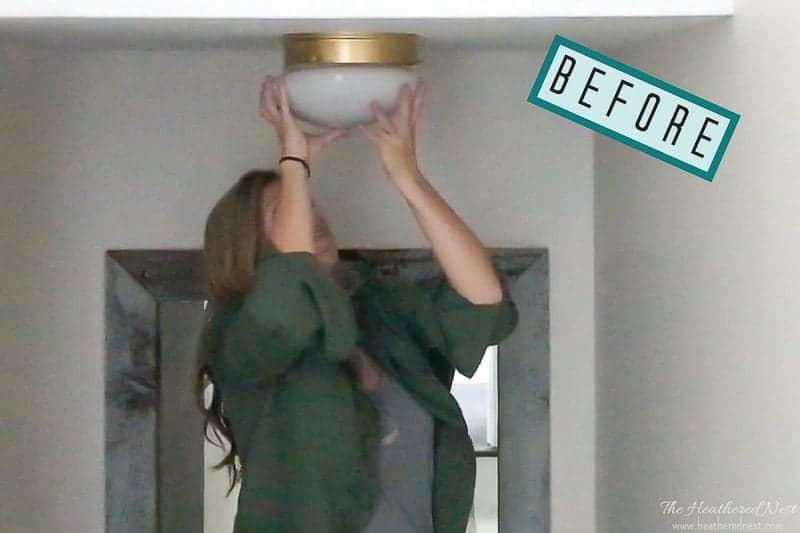 You need to know how to install a light (i.e. 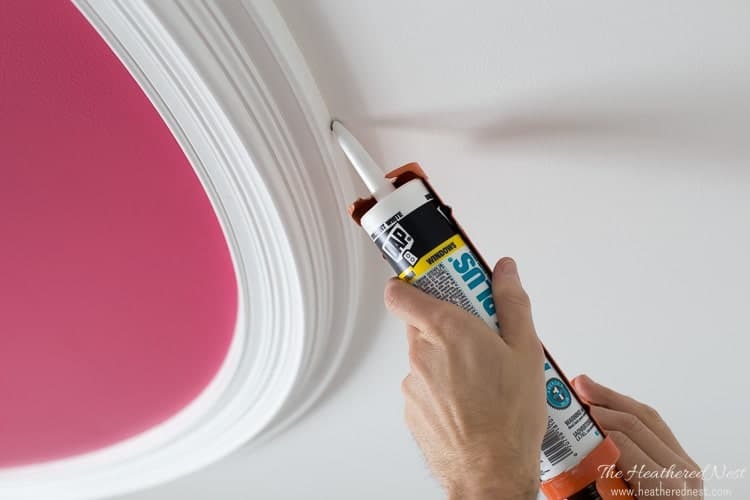 play SAFELY with electricity) in order to install a ceiling medallion. 1. 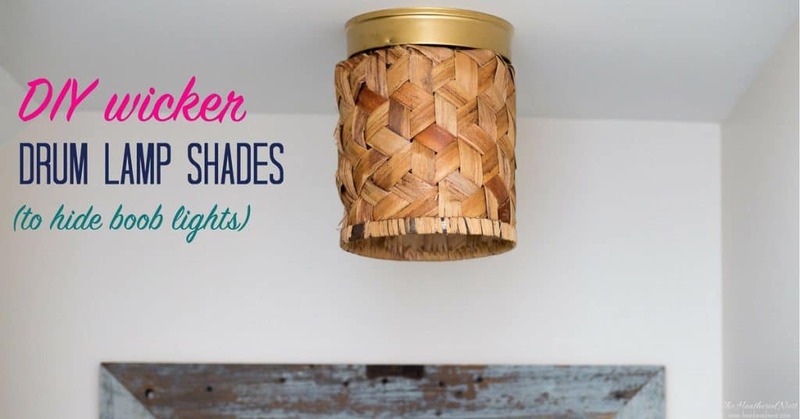 Choose an appropriate medallion for your light fixture. 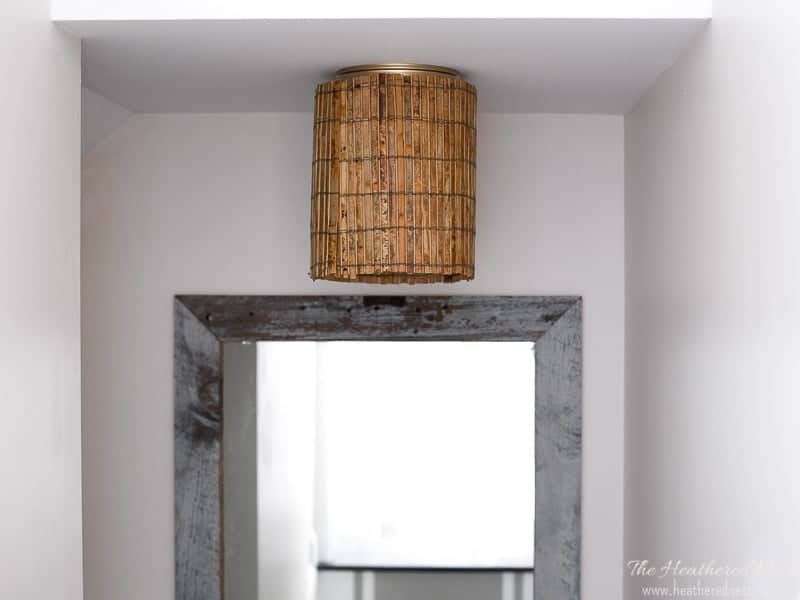 There are no hard/fast rules on sizing, but in general, I personally think a medallion looks best if it’s AT LEAST the width of the light fixture, or up to 1.5x, maybe 2x LARGER. Picking a medallion that is too small will look wonky. And yes, that’s a technical term. If you’re debating between two sizes, go for the larger one. By using a medallion, we’re attempting to draw the eye up, and make the room look a bit grander. So bigger is probably better in this particular case. That being said, don’t go nuts. If your fixture is only 20″ wide, a medallion that is 4x that width will look silly, goose. 2. Paint medallion if desired. 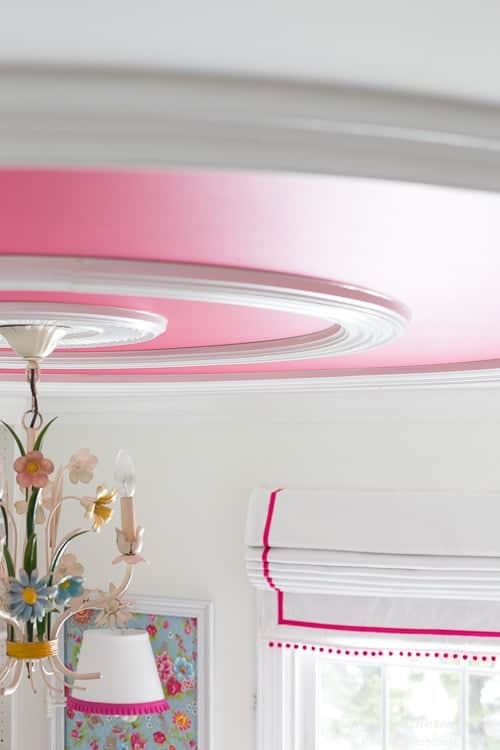 Not a requirement, but if you would like to paint the medallion to match or contrast your ceiling, it’s always easiest to do it before it’s installed on the ceiling. 3. Unwire fixture if it’s already hanging. If not, move on to step 4. You will have to unscrew the canopy, and unwire your fixture before proceeding. AGAIN…DO NOT ATTEMPT THIS STEP IF YOU ARE NOT 110% competent with working with electricity!! A medallion is not worth electrocution. There’s a happy thought. You can hire an electrician to come take care of this project for you. 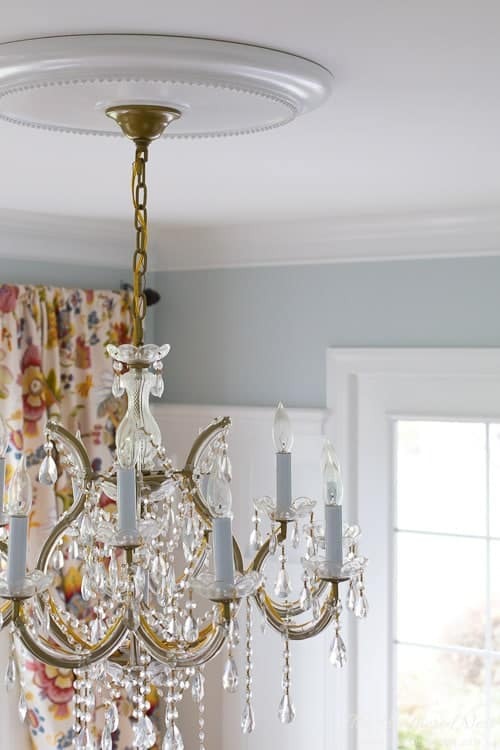 It shouldn’t take them very long to do at all, unless your fixture is going to be in a 20′ foyer, or your fixture weighs 300 lb or some very unique case. It takes us about 30 minutes to install one of these. And that accounts for uninstalling the light, mounting the medallion, then reinstalling the light. 4. Place medallion on ceiling. Once your fixture is down/unwired, you’ll be able to simply slide the medallion into place on the ceiling around the light housing. In the image below, the cross brace seen actually holds the medallion in place. If you decide to use some construction adhesive, simply place some on the back of the medallion, and stick onto the ceiling. You’ll have to prop a 2×4 or something up against it to hold it in place while the glue sets. Once the adhesive is dry, continue to next step. AGAIN, this is only for those people savvy and educated about completing electrical projects! Screwing the canopy onto the ceiling is the last step in a light fixture install. Having the canopy tightened will further assist to hold your medallion in place. In almost every medallion we have in our home, the canopy is the ONLY thing holding the medallion to the ceiling. 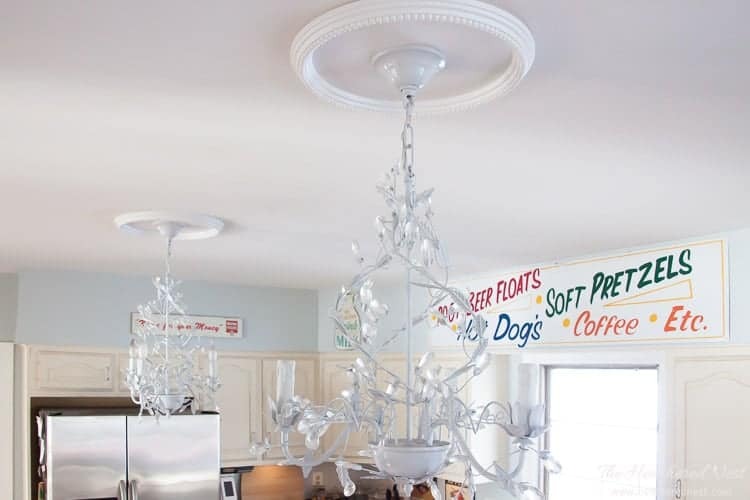 These ceiling medallions are typically made of styrofoam, so they are NOT heavy. It’s not necessary, but if you look at your installed medallion, and it doesn’t look flush enough to the ceiling, then make sure the canopy is screwed in tightly enough. If it’s still not looking tight enough, you can run a bead of caulk around the medallion. This will help to give it a very finished look. 7. If you AREN’T comfortable with wiring, and you don’t want to pay an electrician, here’s a plan B…SPLIT medallions! There are a number of medallions that you can install without completely uninstalling your light/messing with electricity. 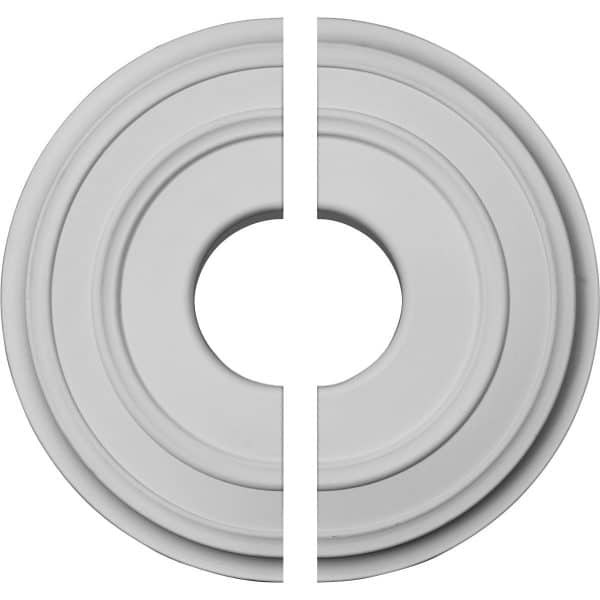 “Split medallions” are segmented. 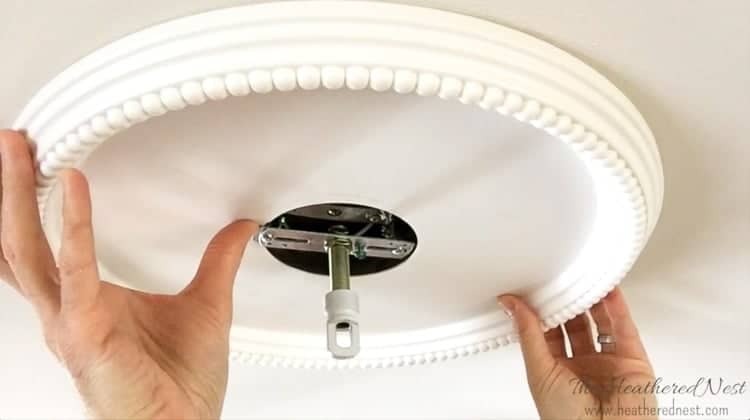 With split medallions, you can simply unscrew the canopy to your already installed light fixture, slide the sections of medallion into place, then tighten the canopy up again. You may need to use some glue (construction adhesive) on the back of the segments, but this is a great option for those who don’t trust themselves with a wiring project but still want the look of a medallion! 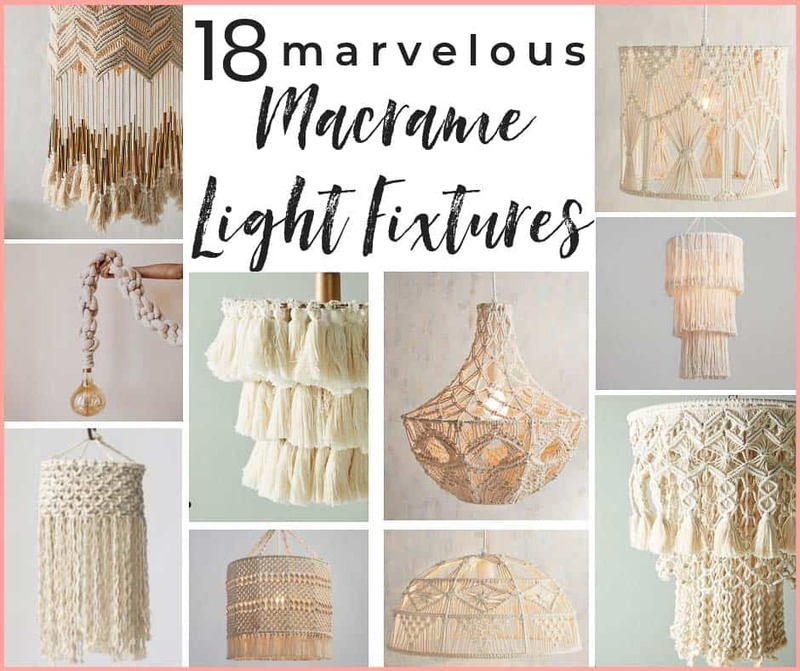 Macrame Light Shopping Guide. 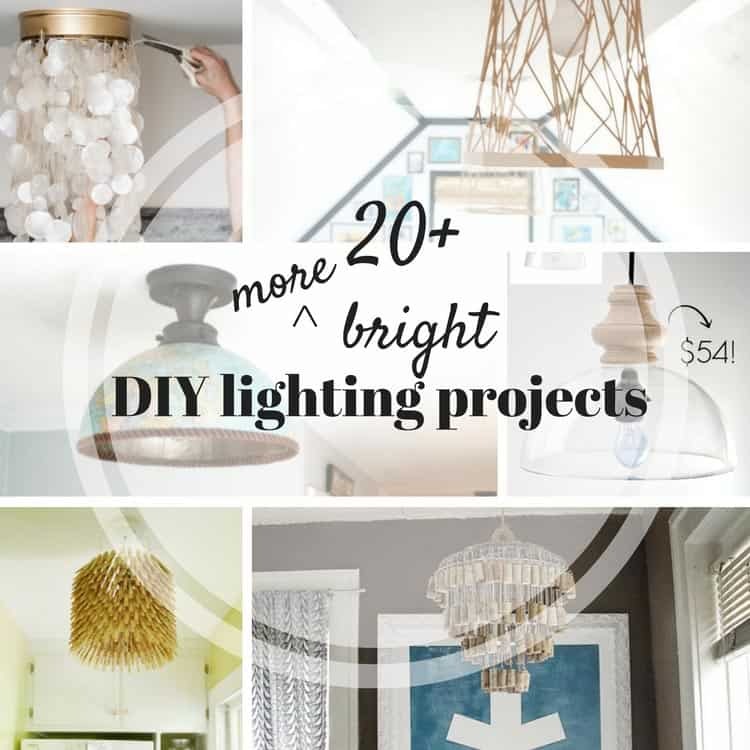 5 Macrame DIY Lighting Projects + 18 To Buy. 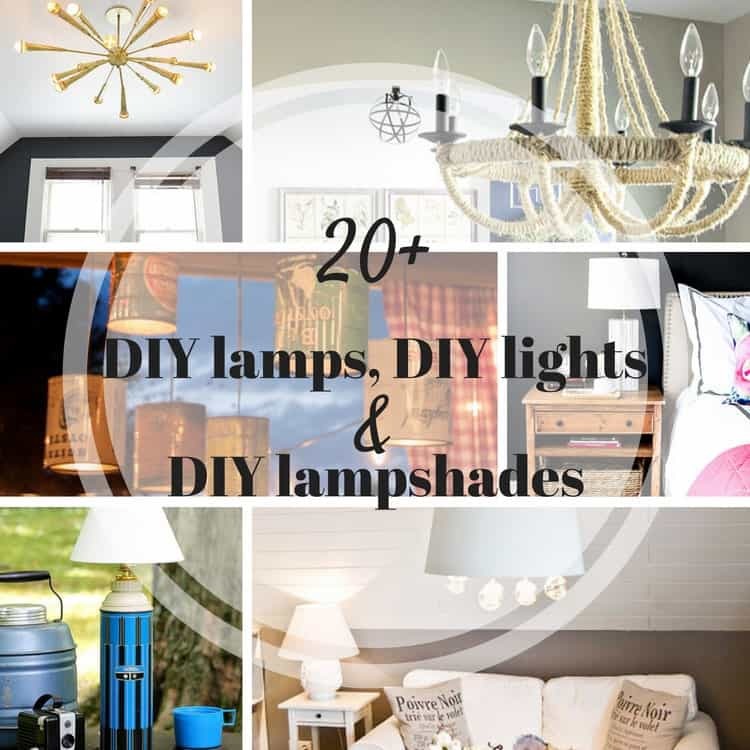 20+ MORE DIY lampshade, DIY light and DIY lamp ideas! This is a Stick-Up. 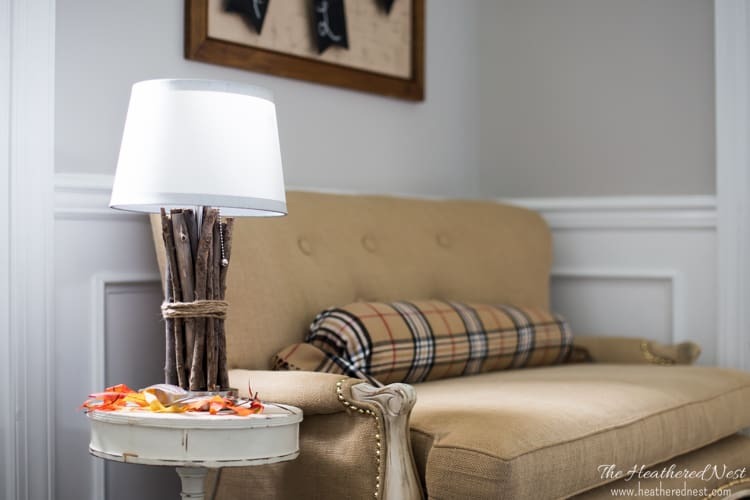 Easy Rustic DIY Lamp with Wood or Twigs. 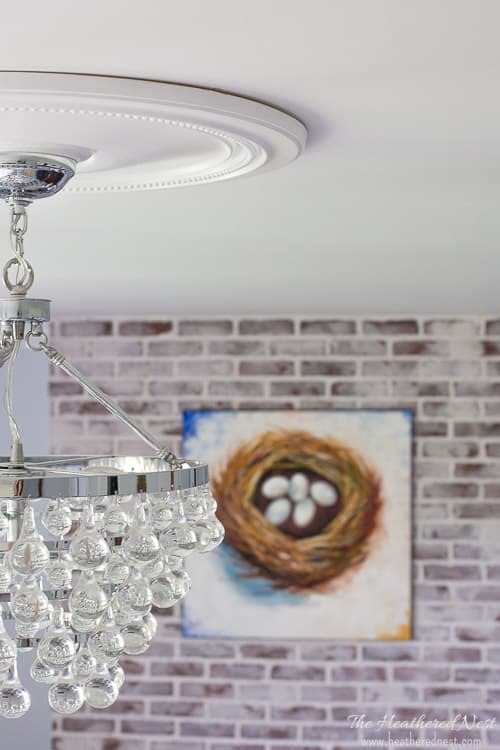 I feel like ceiling medallions are making such a comeback — it’s fun to see how people are using them in various styles (traditional, MCM, rustic, etc).